With Eugen Systems’ tantalising near-future RTS, Act of Aggression, launching later this year, it’s time to get to know the three factions. First in the spotlight is the US Army, battle-hardened force that’s been stretched thin with multiple conflicts. Take a gander at the faction spotlight below. The US Army is a specialised force, where tough units like the stalwart M1A1 Abrams Tusk make up for the force’s lack of diversity. The faction’s main vulnerability seems to be it’s reliance on a constant supply of power, so taking out solar panels and power stations will leave their bases ripe for the taking. 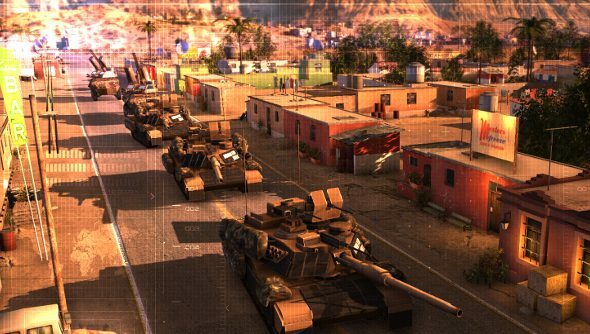 Act of Aggression is due out in spring this year, with a multiplayer beta planning in the coming months.